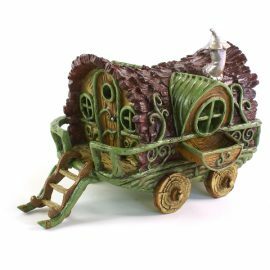 Size 19cm long – 10cm wide. 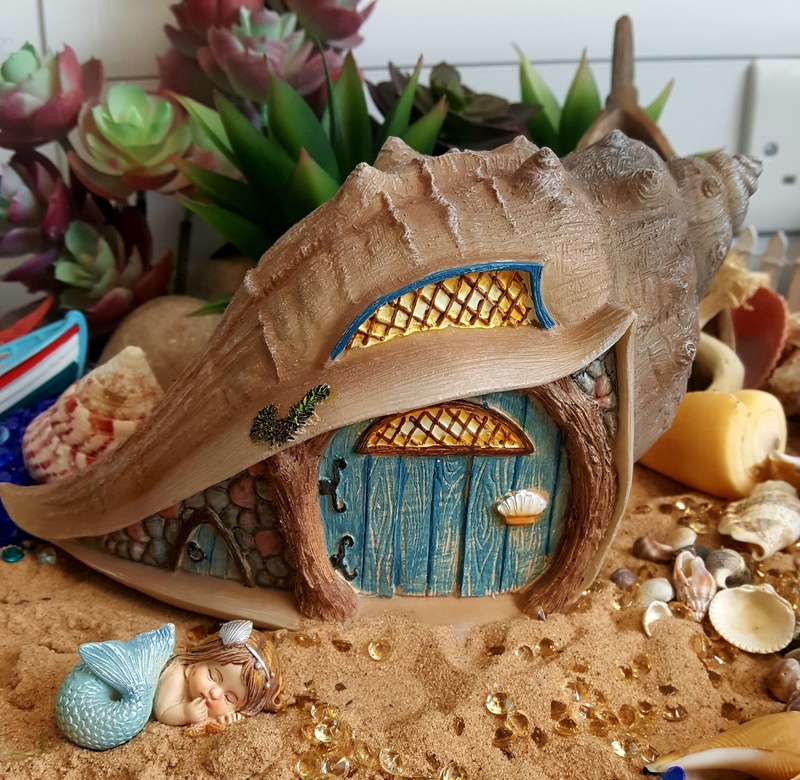 This conch shell comes in a beige colour with a blue front door with a shell handle. 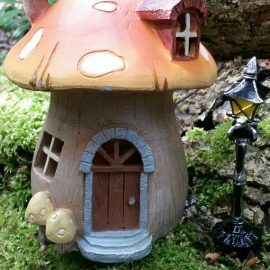 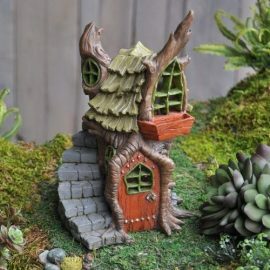 It has a window over the front door and a tiny door in it’s tail. 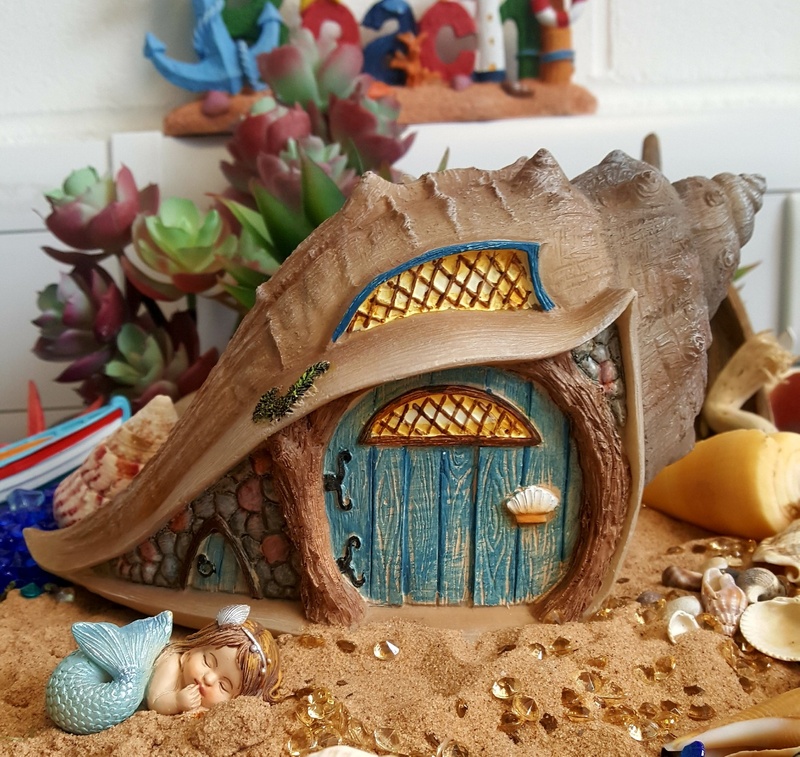 Perfect for beach fairy gardens.